Contemporary Jazz Album featuring Mike Stern, Omar Hakim, Eric Marienthal, Chieli Minucci, Bob Franceschini, Raul Pineda, Cheikh NDoye, John Lamkin III, Arto Tuncboyaciyan, Artyom Manukyan, Artur Yeghiazaryan, Albert Ordinyan, Arshavir Isahakyan & Vardanyan String Quartet. This album is inspired by medieval times when life was experienced in the rawness of the moment, in the daily living of life, of love, of war, of victory and of loss. Sensations were vivid, with the smells of the day up one’s nose, or the gore of battle on one’s skin, all immediate and pungent. 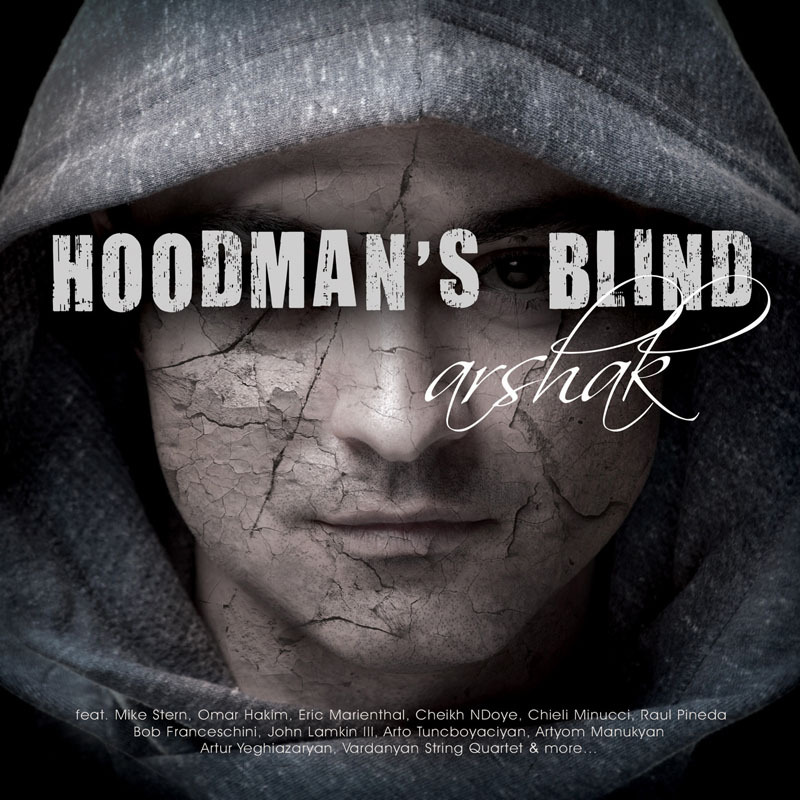 A thematic element of my story is the game of ‘Hoodman’s Blind’, a precursor to the game we know today as ‘Blindman’s Bluff.’ In medieval times, it was a rough fray where the person who was ‘it’ had the hood of his garment turned around to obscure his vision. Other players would spin him around to disorient him. It was his goal to capture someone else and make them take a turn at being ‘it,’ all while fending off the torments of being shoved, tugged at, or whipped by the other players. This game illuminates the unvarnished chafe of life in the middle ages. It was, perhaps, a preparation for the chaos the players would endure on the battlefield. The bravery and honor of soldiers who marched into the uncertainty of battle with no promise of survival holds me fascinated. As I wrote the music for the album, I let these ideas lead me through the development of a story. I invite you to accompany me through this tapestry of compositions that reflect a tragic tale. Recording Engineers: Kyle Downes & Steve Steckler (Mike Stern), Sergey Gasparyan (Vardanyan String Quartet), Jeff Gruber(Arshak Sirunyan), Chris Johnson (John Lamkin III), Hayk Komandyan (Artyom Manukyan), Artyom Naghdyan (Artur Yeghiazaryan, Albert Ordinyan, Arshavir Isahakyan), Rich Tozzoli (Omar Hakim), Paul Wickliffe (Arto Tuncboyaciyan). Angie Nash, Joe & Wei Noonan, Manan Patel, Blue in Green Center.